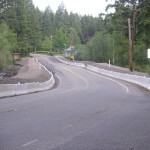 The in basket: Gregg McFarlan asks via e-mail about the purpose of the jersey barriers at the intersection of Bear Creek-Dewatto and Sand Hill roads in North Mason County. Large berms of crushed rock line Bear-Creek-Dewatto Road on both shoulders, with jersey barriers keeping the rock out of the roadway. “It looks like Mason County is trying a cheap fix for road repair and wetland issues. This attempt makes the road rough and potentially unsafe,’ Gregg said. The out basket: County Engineer Bob Thuring of Mason County Public Works says, “Mason County is planning on rebuilding the Bear Creek- Dewatto Road thru the area in question. That portion of the road is constructed through a peat bog. In order to widen the road bed through the bog, we have constructed a “surcharge” fill (about 4 feet deeper than the existing road elevation) to compress or displace the peat from under the widened road section. “This will help stabilize the new roadway,” he said. 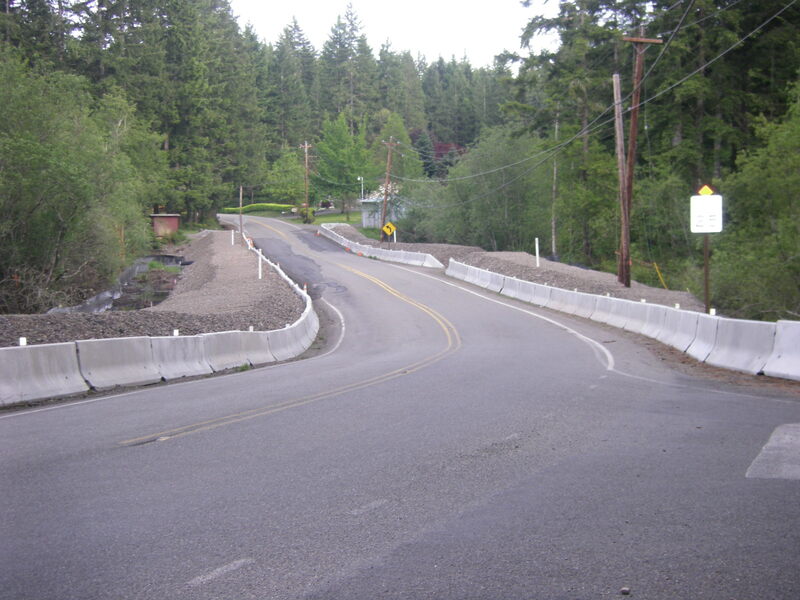 “We installed the jersey barriers along each side of the road to prevent vehicles for running into the surcharge. At the time of rebuilding Bear Creek-Dewatto, the surcharge will be removed and the new road section constructed.